HOUSTON – An accused recruiter in a multi-million dollar health care fraud scheme scheduled for trial on Monday, has instead pleaded guilty to conspiracy to violate the Anti-Kickback Statute, United States Attorney José Angel Moreno announced today. Birdie Leroy Revis, 60, of Houston, pleaded guilty before United States District Judge David Hittner this morning to conspiracy to violate the Anti-Kickback Statute. Trial had been scheduled to begin with jury selection on Monday, Aug. 8, 2011. Revis was a recruiter for Sefan Medical Supply (Sefan), a durable medical equipment provider, located in Houston. Based upon the joint investigative efforts of the agencies comprising the Medicare Fraud Strike Force into a $2.8 million scheme to defraud Medicare by Sefan, evidence was obtained proving that Revis’ role in the scheme was to provide Medicare beneficiary information to Sefan. Sefan, in turn, then billed Medicare for medically unnecessary durable medical equipment and supplies which were either not provided to Medicare beneficiaries or a lesser product from what was billed to Medicare was provided. The information was provided on a prescription form for arthritis kits. All the kits included a knee adjustment with air chamber, rigid frame back brace, elbow with joint, ankle gauntlet, flex glove with elastic finger, heat lamp with stand and a wrist brace. Sefan would order these items for both the left and right side. If the beneficiaries received any items, they did not receive the rigid brace items billed to Medicare, instead they would receive neoprene sleeves, which was not covered by Medicare. Revis provided to Sefan information for more than 686 beneficiaries for which Sefan paid Revis approximately $400 per beneficiary for a total of more than $353,000. With the information provided by Revis, Sefan billed Medicare for more than $2.8 million worth of claims for arthritis kits and was paid more than $1.7 million for those fraudulent claims. Revis remains on bond pending sentencing, which is set on Nov. 2, 2011. Revis faces a maximum of up to five years in prison to be followed by up to a three-year-term of supervised release and a fine of up to $250,000 for the kickback conspiracy conviction. The owner of Sefan and the physician whose signature was on the prescriptions have also been convicted following their respective pleas of guilty to conspiracy to commit health care fraud. Kate Ose Olear, the owner of Sefan, was sentenced to 57 months in prison on Feb. 10, 2011, by United States District Judge David Hittner. John Edward Perry III, the physician, pleaded guilty in June 2010. He remains on bond pending his sentencing on Oct. 21, 2011, before United States District Judge Gray H. Miller. The investigation leading to the charges in this case was conducted by the Medicare Fraud Strike Force comprised of agents with the Department of Health and Human Services, Drug Enforcement Administration Diversion Division, Texas Attorney General Medicaid Fraud Control Unit, United States Railroad Retirement Board and the FBI. Assistant United States Jennifer Lowery and Special Assistant United States Attorney Justin Blan are prosecuting the case. Leonard Langman, M.D. Pleads Guilty to Medicare and Health Care Fraud – What motivated his behavior? For those physicians who provide health care to patients who are covered by Medicare, Workman’s Comp. or other similar types of services, has it become so restrictive that the reduced fees earned is forcing physicians to turn to illegal activities to compensate? I suspect that as you read this your first reaction is What? What a reach and crazy question… But, before your read the account of the doctor who could receive 10 years in Federal Prison below – think about what comes together to create a fraud. As a business ethics and fraud prevention speaker, I see, all to often, that when three things come together: (1) Need; (2) Opportunity and (3) Rationalization – it creates the PERFECT STORM for fraud. To be clear, just because those three things are present does not mean that Fraud will occur, rather it means that the conditions are right for the ethical person to make the unethical choice that can lead to illegal activities and fraud. As I speak to groups internationally the significant question that comes up is not what happened – that is generally evident by the facts, but rather what motivated the perpetrators behavior in the first place? WASHINGTON – Leonard Langman, M.D., a neurologist who owned and operated a Brooklyn, N.Y., medical clinic pleaded guilty today for his role in a scheme to defraud Medicare; the U.S. Department of Labor, Office of Workers’ Compensation Programs (OWCP); the New York State Workers’ Compensation Board (NYS-WCB); the New York State Insurance Fund (SIF) and various private health insurance carriers, announced the Departments of Justice and Health and Human Services. Dr. Langman pleaded guilty before U.S. District Judge Kiyo A. Matsumoto in Brooklyn to one count of health care fraud. According to court documents, from January 2006 to December 2009, Dr. Langman caused false and fraudulent claims to be submitted to Medicare, OWCP, NYC-WCB, SIF and others. Langman submitted claims for services that were not provided; misrepresented the services he provided by billing for a level of service higher than that which he performed; double-billed different health care benefit programs for the same service provided to the same beneficiary; and billed for services purportedly performed when he was out of the country. At sentencing, Dr. Langman faces a maximum sentence of 10 years in prison. Sentencing is scheduled for Dec. 2, 2011. The guilty plea was announced by Assistant Attorney General Lanny A. Breuer of the Justice Department’s Criminal Division, U.S. Attorney Loretta E. Lynch for the Eastern District of New York and Special Agent-in-Charge Thomas O’Donnell of the Department of Health and Human Services, Office of Inspector General (HHS-OIG). The case is being prosecuted by Trial Attorney James Hayes of the Criminal Division’s Fraud Section. HHS-OIG, the U.S. Postal Service, Office of Inspector General and the New York State Workers Compensation Board, Office of Inspector General conducted the investigation. The case was brought as part of the Medicare Fraud Strike Force, supervised by the Criminal Division’s Fraud Section and the U.S. Attorney’s Office for the Eastern District of New York. Since their inception in March 2007, Strike Force operations in nine locations have charged more than 1,000 defendants who collectively have falsely billed the Medicare program for more than $2.3 billion. In addition, the HHS Centers for Medicare and Medicaid Services, working in conjunction with the HHS-OIG, are taking steps to increase accountability and decrease the presence of fraudulent providers. If you have insight into this case…please share your thoughts. The following is a news release from the Department of Justice. Please note – EVERY CHOICE HAS A CONSEQUENCE! As an ethics and fraud prevention speaker to numerous governmental agencies including the FBI – it is clear that regardless of how clearly wrong choices like this may be, the fact remains that unless there are safeguards put in place to remove one of the three components that allow an ethics person to make unethical and illegal choices, we will continue to have frauds like this and the consequences that follow. If you know of Dr. Rene De Los Rios and have insight into the doctors thinking…feel free to share your comments below! WASHINGTON – Miami doctor Rene De Los Rios, 72, was sentenced today to 235 months in prison for his participation in a $23 million HIV injection and infusion Medicare fraud scheme , announced the Departments of Justice and Health and Human Services (HHS). U.S. District Court Judge Joan A. Lenard of the Southern District of Florida also sentenced De Los Rios to three years of supervised release following his prison term and ordered him to pay a minimum of $11.7 million in restitution, jointly with his co-defendants. The final amount of restitution will be determined at a later hearing. On April 14, 2011, De Los Rios was convicted by a jury of one count of conspiracy to commit health care fraud and four counts of submission of false claims. De Los Rios was remanded to the custody of the U.S. Marshals Service after his conviction and has been detained since that time. According to evidence presented at trial and sentencing, De Los Rios worked at multiple fraudulent medical clinics and signed medical documents authorizing tests and treatments that were medically unnecessary or never provided. The court found De Los Rios responsible for a total of $46 million in fraudulent billings to Medicare. According to evidence presented at trial, De Los Rios was hired by the owner of Metro Med of Hialeah Corporation, an HIV infusion clinic that purportedly provided injection and infusion therapies to HIV-positive Medicare beneficiaries. Evidence presented at trial established that De Los Rios ordered unnecessary tests, signed medical analysis and diagnosis forms, and authorized treatments to make it appear that legitimate medical services, including injection and infusion therapies, were being provided to Medicare beneficiaries at Metro Med. However, the injection and infusion therapies were medically unnecessary and never provided. De Los Rios also signed medical charts, often without seeing the patient, indicating that certain treatments were medically necessary, when, in fact, he knew they were not. Evidence at trial established that De Los Rios diagnosed almost all of the patients at Metro Med with the same rare blood disorders, which the patients did not have, in order to ensure maximum reimbursement from Medicare. The evidence at trial also showed that De Los Rios prescribed expensive medications, including Winrho, Procrit and Neupogen, to patients for the sole purpose of receiving reimbursement from the Medicare program. From approximately April 2003 through October 2005, Metro Med submitted approximately $23 million in claims to the Medicare program for injection and infusion treatments that were not medically necessary and were never provided. The Medicare program paid approximately $11.7 million in claims. The owner and operator of Metro Med, Damaris Oliva, and three other individuals have each pleaded guilty for their roles in the Metro Med fraud scheme. Oliva was sentenced in December 2010 to 82 months in prison. Co-defendants Estrella Rodriguez, Jose Diaz and Lisandra Aguilera were sentenced to 57 months in prison, 54 months in prison and 70 months in prison, respectively. Evidence at trial and sentencing also established that De Los Rios engaged in almost identical conduct at additional sham HIV injection and infusion therapy clinics in South Florida during the same time period. At J&F Community Medical Center Inc. and Rochris Medical Center Inc., De Los Rios prescribed the same medications that he prescribed at Metro Med to patients who he knew did not need them. In a two-and-half-year period, De Los Rios made more than $587,000 in profits from the fraud schemes. At sentencing, the court also found that De Los Rios obstructed justice by testifying falsely at his trial; that as a doctor, De Los Rios occupied a position of trust, which he violated; and that by prescribing medically unnecessary injections and infusions for HIV-positive patients, De Los Rios caused a reckless risk of serious bodily injury to those patients. The court declared a mistrial in De Los Rios’ first trial in March 2011. Today’s sentence was announced by Assistant Attorney General Lanny A. Breuer of the Justice Department’s Criminal Division; U.S. Attorney Wifredo A. Ferrer of the Southern District of Florida; John V. Gillies, Special Agent-in-Charge of the FBI’s Miami Field Office; and Special Agent-in-Charge Christopher Dennis of the HHS Office of Inspector General (HHS-OIG), Office of Investigations Miami office. The case was prosecuted by Trial Attorney Joseph S. Beemsterboer of the Criminal Division’s Fraud Section and Robert J. Luck, Assistant U.S. Attorney for the Southern District of Florida. The case was investigated by the FBI and HHS-OIG, and was brought as part of the Medicare Fraud Strike Force, supervised by the Criminal Division’s Fraud Section and the U.S. Attorney’s Office for the Southern District of Florida. Since its inception in March 2007, the Medicare Fraud Strike Force operations in nine locations have charged more than 1,000 defendants and organizations that collectively have billed the Medicare program for more than $2.3 billion. In addition, HHS’s Centers for Medicare and Medicaid Services, working in conjunction with the HHS-OIG, are taking steps to increase accountability and decrease the presence of fraudulent providers. 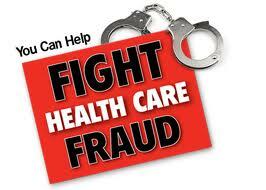 To learn more about the Health Care Fraud Prevention and Enforcement Action Team (HEAT), go to www.stopmedicarefraud.gov . As I prepare to speak to members of the Laboratory Products Association meeting on ethics, I ran across this news release from the Department of Justice about yet another health care fraud. I am pleased that so many folks in the health related field are ethical and have a strong desire to do the right thing – or make the right choices. As I visited with LPA members this evening, I got that very real sense, as many didn’t know that I was their final event speaker, that they welcomed the opportunity to feature ethics and ethics training so that they could help others (employees, vendors, etc) know the value of making positive choices – even in the face of economic uncertainty. The unfortunate thing is that the “bad apples” tend to spoil the whole bunch by giving a bad name to segments of an industry. The news release was issued on April 28th, 2010 and represents yet another example of people who find greed and lack of ethics eventually has a consequence. Tomorrow, when I deliver my keynote presentation, the first words out of my mouth will be – “Every choice has a consequence!” In the case of Doris Vinitski and John Lachman they are just beginning to understand the effect between choices and consequences. Houston-area residents Doris Vinitski and John Lachman pleaded guilty today in connection with their roles in a durable medical equipment Medicare fraud scheme, the Departments of Justice and Health and Human Services (HHS) announced. According to court documents, Vinitski, 45, was the owner of Onward Medical Supply, a Houston-area durable medical equipment company. Lachman, 45, operated the day-to-day business for several years, and Vicki Phillips, 53, was a patient recruiter for Onward. Vinitski and Lachman, who is Vinitski’s estranged husband, each pleaded guilty today before U.S. District Court Judge Nancy Atlas of the Southern District of Texas to one count of conspiracy to commit health care fraud. Phillips pleaded guilty on April 21, 2010, to one count of conspiracy to defraud the United States and to paying health care kickbacks. Onward began billing Medicare for fraudulent durable medical equipment in 2003, according to court documents. Vinitski and Lachman admitted they paid kickbacks, sometimes $1,000 per patient, to recruiters who brought patients to Onward. Lachman and Vinitski then would bill Medicare for durable medical equipment that these patients did not need or never received. Phillips admitted that she recruited Medicare beneficiaries for the purpose of allowing Onward to submit claims to Medicare for durable medical equipment, including power wheelchairs and orthotic devices. Phillips also admitted she received kickbacks from Onward for each patient she recruited whose claims were reimbursed by Medicare. Lachman and Phillips are scheduled to be sentenced on Aug. 16, 2010. Vinitski is scheduled to be sentenced on Aug. 17, 2010. Lachman and Vinitski face a maximum penalty of 10 years in prison and a $250,000 fine. Phillips faces a maximum penalty of five years in prison and a $250,000 fine. Seven additional defendants allegedly involved in the scheme – Dr. Howard Grant, Clinton Lee, Michael Kalu Obasi, Darnell Willis, Ju-Ying Cian, Obisike Nwankwo and John Nasky Okonkwo – are scheduled for trial on May 17, 2010. The charges against these defendants are merely allegations and they are presumed innocent until proven guilty. The guilty pleas were announced by Assistant Attorney General Lanny A. Breuer of the Criminal Division; U.S. Attorney José Angel Moreno of the Southern District of Texas; Richard C. Powers, Special Agent-in-Charge of the FBI’s Houston office; Special Agent-in-Charge Mike Fields of the Dallas Regional Office of the HHS Office of Inspector General (OIG), Office of Investigations; and Texas Attorney General Greg Abbott on behalf of the Texas Attorney General’s Medicaid Fraud Control Unit (MFCU). The cases were prosecuted by Assistant Chief John S. (Jay) Darden and Trial Attorneys Jennifer L. Saulino and O. Benton Curtis III of the Criminal Division’s Fraud Section. The cases were investigated by the FBI, HHS-OIG and MFCU. 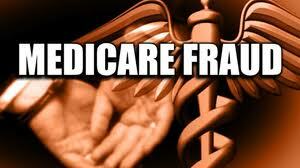 The case was brought as part of the Medicare Fraud Strike Force, supervised by the U.S. Attorney’s Office for the Southern District of Texas and the Criminal Division’s Fraud Section. Since their inception in March 2007, Strike Force operations in seven districts have obtained indictments of more than 560 individuals who collectively have falsely billed the Medicare program for more than $1.2 billion. In addition, HHS’s Centers for Medicare and Medicaid Services, working in conjunction with the HHS-OIG, are taking steps to increase accountability and decrease the presence of fraudulent providers. To commit a fraud, typically three components must exist: (1) need; (2) opportunity and (3) rationalization. The question here is what triggered the “need” component and how did they “rationalize” their behavior. People who, perhaps, are close to those involved are encouraged to comment so we can flush out the underlying motives in this unfortunate fraud. The Health Care Fraud Prevention and Enforcement Action Team (HEAT) – a division of the Justice Department is at it again. Their goal…to stop Medicare fraud…! And, it looks like they are being effective. Gevork Kartashyan and Eliza Shubaralyan, the owners and operators of a Los Angeles-area durable medical equipment (DME) company were sentenced to prison in connection with an approximately $1 million power wheelchair fraud scheme. Each were sentenced to serve two years in prison and in addition, Kartashyan and Shubaralyan were ordered to serve three years of supervised release following their prison terms and to pay $400,000 in restitution, jointly and severally. Kartashyan and Shubaralyan, who are married, were convicted at a July 2009 trial in federal court in Los Angeles. Kartashyan was found guilty of conspiracy to commit health care fraud and health care fraud, and Shubaralyan was found guilty of health care fraud. At trial, the evidence showed that Kartashyan and Shubaralyan, through their company CHH Medical Supply, billed Medicare $949,859 and were paid $597,750 as a result of the billing. According to evidence presented at trial, virtually all the billing was for medically unnecessary power wheelchairs and wheelchair accessories. At trial, elderly Medicare beneficiaries testified about how they were recruited into the scheme. According to testimony, the beneficiaries were taken to Los Angeles-area medical clinics, where they turned over their Medicare numbers and other personal identifying information. Some beneficiaries testified that they were promised vitamins, diabetic shoes and other items that they never received, in return for providing their beneficiary numbers. According to evidence presented at trial, these clinics were in the business of generating fraudulent power wheelchair prescriptions that could be sold to DME company owners, who then billed Medicare for the wheelchairs. Many of the beneficiaries did not know they were getting a power wheelchair until it was delivered by CHH Medical Supply. 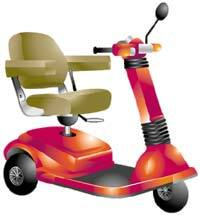 All of the beneficiaries testified that they did not need or use the power wheelchairs. Five physicians testified at trial that they never authorized or approved the power wheelchair prescriptions written under their names. Three of these physicians testified that they never worked at the clinics listed on the phony prescription pads. According to testimony at trial, Kartashyan regularly purchased power wheelchair prescriptions. The evidence also showed that after the power wheelchairs were delivered, Kartashyan generated phony forms stating that the beneficiaries’ homes were appropriate for the use of a power wheelchair, even though no home assessment was conducted. Since their inception in March 2007, Strike Force operations in seven districts have obtained indictments of more than 500 individuals who collectively have falsely billed the Medicare program for more than $1 billion. In addition, HHS’s Centers for Medicare and Medicaid Services, working in conjunction with the HHS-OIG, are taking steps to increase accountability and decrease the presence of fraudulent providers. HEAT’S website can be found here. What motivates fraudulent behavior? Are fraudsters basically bad or do good people make poor choices which leads to fraud? These are questions seem to asked daily as new reports surface of indicted or sentenced fraud. Seems that Irene Anderson, 45, of Wylie, Texas, was sentenced to 46 months in federal prison and was also ordered to pay $2,276.622.31 restitution, forfeit a 2006 Hummer, a 2002 Suzuki and $8500 in cash that was found in her car when she was arrested on April 18, 2008. Not only is a 46 month prison sentence significant, but returning to society as a convicted felon and owing over $2 million in restitution would be an obstacle that would seem insurmountable. Iya Edwards, dba New Dimension was issued a Medicare provider number in March 2005 and from approximately March 9, 2005 to April 21, 2008, Anderson billed Medicare for services using that number. Throughout this period, Anderson continued to falsely represent to Medicare that the owner of New Dimension was Iya Edwards rather than Anderson, causing Medicare to pay New Dimensions a total of $1,188,698.74 because of her scheme. Anderson also fraudulently obtained in excess of another $1 million in Medicare funds paid to AG Total Care for home health visits that Anderson never made. These payments are included in the Court’s restitution order of $2.2 million. In order to effect a fraud three components must be present: (1) need, (2) opportunity and (3) rationalization. It appears from Irene’s comment that her rationalization was creating a better life for herself and family. The question however is why would she feel that theft thru fraud is the appropriate way? She was reported as a Nigerian national. Is it possible that based on her background that fraud is an acceptable method of getting ahead? There is a difference between making a bad choice and choosing to intentionally do wrong. In this case there appears to be no indication of anything other than intentionally doing wrong. This goes beyond unethical behavior to down right fraud. Not only did Irene get an active prison sentence, but there had to be other casualties of her actions. From wanting to help her family to spending time away from them in prison, one wonders the how and why of such an action. However, so as not to sound judgmental – I openly admit that I did the same thing. I made choices that had painful consequences and left a scar on my life that will never be forgotten. Yesterday I had the privilege to speaking to a convicted felon who was recently released from prison. I shared with her something that has sustained me on my journey following: The choices you make today will define your life in the future. Choose wisely! We can elect to be a victim and be defined by our past or we can make different choices and create a life moving forward that is empowering – not only to ourselves but to those we touch. Perhaps Irene will learn from her past choices and make those that will be uplifting in the future. A Kannapolis physician assistant Faces Up to Ten Years in federal prison – what for? Is the need to achieve wealth or increase material possessions so great that it is worth one’s freedom? That is the very real question that I had to face when some 13 years ago I took my first steps into federal prison. Now another will take those steps soon. CHRISTOPHER J. CAGGIANO, president of CANNON FAMILY MEDICINE, INC.- Kannapolis, North Carolina – plead guilty to four counts of health care fraud. The charges against CANNON FAMILY MEDICINE, INC. allege that the practice submitted false claims to private health insurance companies as well as false claims to Medicare, Medicaid, and federal employee health programs. Each health care fraud count carries a maximum possible penalty of ten (10) years imprisonment, a fine of up to $250,000, and up to three years supervised release. The medical practice and CAGGIANO, a physician assistant, will be sentenced on February 11, 2009. QUESTION: What motivated Caggiano’s behavior? Do you suppose that Caggiano, who will be sentenced to federal prison, will learn and use his prison experience to help others? As a business ethics and white collar crime speaker, I know that prison does not have to be a dead end. Every choice has a consequence this is just another example. You are currently browsing the archives for the Health Care Fraud category.